The Battery Saver™ 2087 6ft Terminal LUG cables are the industry standard for battery charging & maintaining technology. 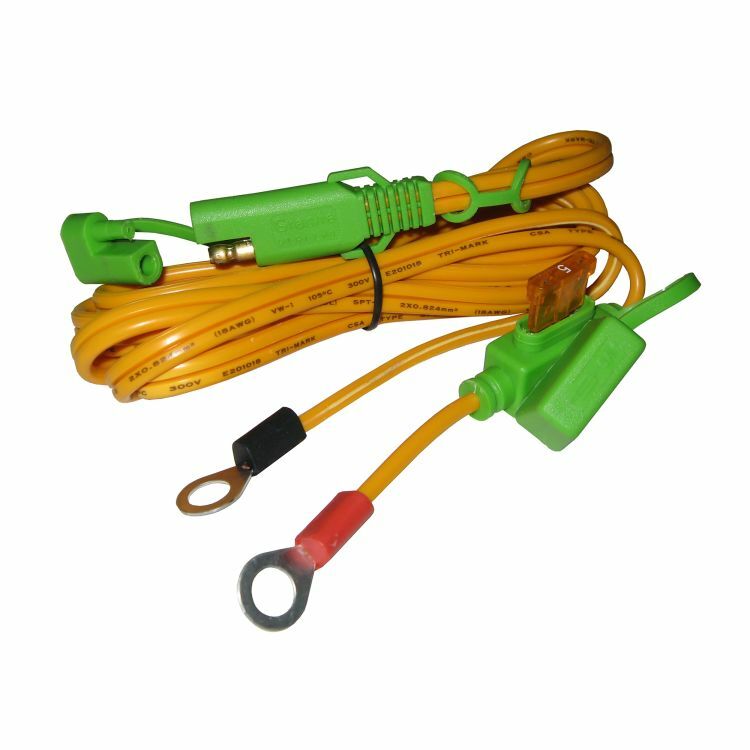 Built into the cable is a 5 AMP Fuse to protect your vehicle's battery and help to prevent any issues that may arise from power surges. The Terminal LUG cables are Plug n' Play, easy to use and feature color coded (red - positive, black - negative) connectors to ensure a safe and secure charging experience. Our cables are constructed with a heavy duty duty material and extremely resilient. The Connector is GOLD-plated to prevent oxidation and features two unique loops to secure the Connector in place. This cable allows you to permanently connect to the battery's terminals, which makes charging as easy as plugging it in when you drive into your garage. Do you own the 2087? Please, tell us what you think about it. It helps us provide you with better products. Please note that it may take up to 72 hours for your review to appear.